Merton has launched its new Community Plan. This is the overarching strategic plan of the Merton Partnership. It sets out the partnership’s long term vision and priorities for the borough up until 2019. The magazine style publication presents the results of research into what people want to see in Merton, and looks at the work of various organisations and individuals, highlighting how voluntary and community activity benefits the whole borough. 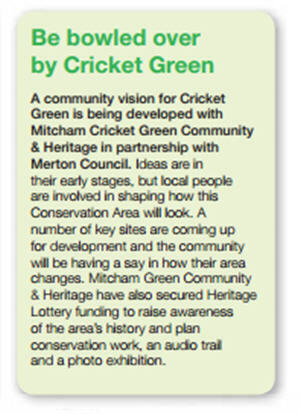 We’re delighted that Mitcham Cricket Green Community and Heritage has a slot on the page that’s specifically about Mitcham. 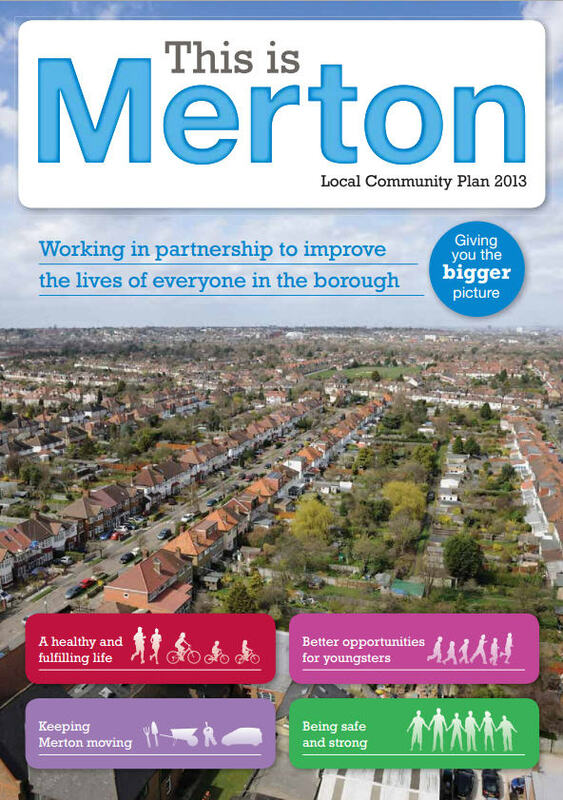 You can download the full community plan for yourself from Merton Council’s web site. This entry was posted in Cricket Green Conservation Area and tagged Community Plan, Merton, Merton Community Plan, Merton Council, Merton Partnership on October 13, 2013 by mitchamcricketgreen.